Obesity has become an epidemic and there are many factors why. Our modern era of processed and fast food, rushed schedules, and too many restaurants to choose from are a major part of it. Here's one obesity risk you've probably never heard of and how to reduce your risk. 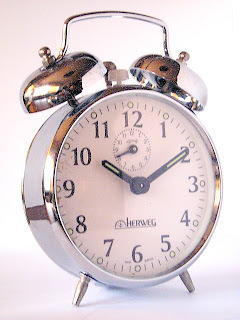 A paper recently published in Bioessays by Dr. Cathy Wyse, working with the University of Aberdeen, examines how the human internal clock, or daily circadian rhythms, is affected by irregular eating and sleeping patterns and work schedules such as shift jobs, and whether that contributes to obesity or impacts health. Says Wyse: "The human clock struggles to remain tuned to our highly irregular lifestyles, and I believe that this causes metabolic and other health problems, and makes us more likely to become obese." Further research is needed in studying how circadian desynchrony, along with diet and exercise, come into play with obesity. Take care of your health and the weight loss will follow. Contact WeightLossNYC at 718-491-5525 if you want to change your life today. We've all heard how important it is to exercise and eat right to lose weight. We all know we need to do cardiovascular exercise at least a few times a week to see results. But did you know that 30 minutes of exercise can get you better results than 60 minutes of exercise? Now that we've got your attention, read on to find out why and how. More exercise doesn't always mean more weight loss. According to a Danish study of sedentary young men in good health who were slightly overweight, published in the American Journal of Physiology, 30 minutes of sweating it out during physical exercise over a period of three months resulted in a similar amount of weight loss as those in the study who did 60 minutes of exercise a day. In fact, some participants even lost more weight by exercising 30 minutes daily. On average, the men who exercised 30 minutes a day lost 3.6 kg in three months, and those who exercised 60 minutes a day lost 2.7 kg. The reduction in body fat was about 4 kg for both groups. Researchers also noted the possibility that the 60 minute-a-day study participants may have overcompensated by eating more, losing less weight than they could have by not overeating. Sticking to an exercise regimen of 30 minutes a day is much easier to commit to if you struggle with motivating yourself or finding the time. But it can also give you that extra boost and weight loss benefit you need to keep at your weight loss goal. Don't delay doing something about your weight for another day. Learn how to lose as much as 10 to 20 pounds per month by making the right healthy choices. Schedule an appointment with Dr. Aron at WeightLossNYC today! Give us a call at 718-491-5525. How Does Belly Fat Affect Your Health? Just because you think you're a normal size and weight, it doesn't mean you're healthy. We all know belly fat is unhealthy, but the latest research shows that people of a normal weight who have belly fat have a higher risk of dying from heart disease, even when compared to obese people. The study found that normal-weight people can have what's called central obesity because of the belly fat. They're also nearly three times more likely to die from heart disease and twice as likely to die of any cause compared to other normal-weight individuals with a healthy waist-to-hip ratio. Another danger: Normal-weight people may not feel the need to improve their lifestyle by making healthier choices, which can only increase their health risk. Losing unhealthy weight, eating healthfully, exercising and increasing muscle mass have shown to help normal-weight individuals with central obesity or belly fat. That way, they lose weight and build muscle mass at the same time, while redistributing their weight in a healthier way. Waist-to-hip ratio, according to some studies, has been found to be more reliable in determining cardiovascular mortality risk than body mass index (BMI). Looking to lose weight successfully and fast? Contact WeightLossNYC at 718-491-5525 and get on track with your weight loss goals today.